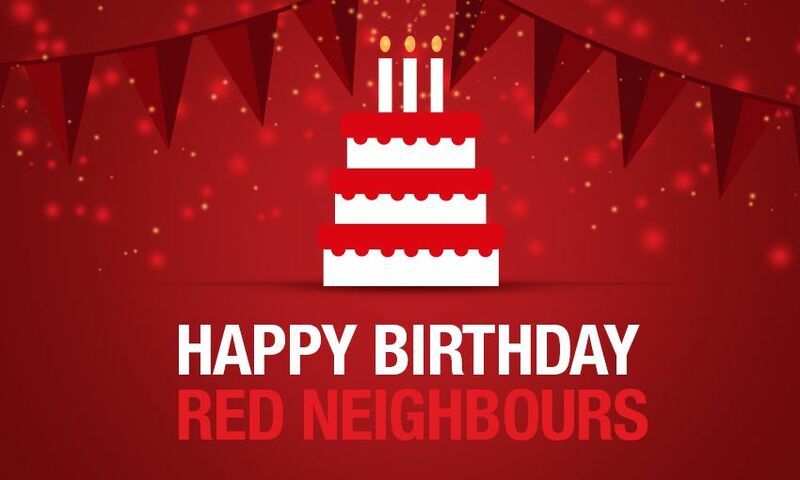 Liverpool FC’s Red Neighbours community programme is celebrating two successful years supporting local residents and schools in the Anfield area. Since launching in January 2017, the dedicated team of LFC staff have worked with local people, community groups and key stakeholders to create events and experiences that support four key areas of need: food poverty and education, support for the elderly community, encouraging a physically active community and creating memorable experiences for young people. As well as inviting hundreds of families to enjoy free breakfasts at Anfield during school holidays throughout the year, during the last two years the Red Neighbours team has worked alongside Fans Supporting Foodbanks to collect 13,582.7kg of items for North Liverpool Foodbank. This amount of non-perishable foods and toiletries equates to 913 emergency three-day food parcels, providing over 32,850 meals for 3,651 local people in crisis within the L4, L5 and L6 areas. The Red Neighbours team continues to visit local care homes and host monthly Monday Clubs at Anfield, where local pensioners can socialise while enjoying refreshments and a variety of entertainment. Also, in a bid to tackle social isolation amongst the older community, each year in December the Red Neighbours team welcomes local pensioners to Anfield to enjoy a complimentary three-course Christmas lunch, catering for more than 1,300 people in the last two years. The Red Neighbours team has built excellent relationships with all 25 schools in and around Anfield, to ensure that the club can provide memorable experiences for their pupils. First-team players have visited the schools to meet the children, while the Red Neighbours team has arranged numerous trip to Melwood, educational projects within the schools and special matchday opportunities. In just two years, the Red Neighbours team has as provided 2,200 free tickets for Premier League homes games to school children in the local community. The Red Neighbours’ physical activity sessions continue to grow in popularity. In the last 12 months, Chair Based Yoga sessions were added to the weekly Red Neighbours calendar, and Walking Football sessions now take place twice a week due to popular demand. During the last two years, over 300 local over 50s have attended walking football sessions. To find out more about our projects and regular events, visit the community section on the LFC website here: https://www.liverpoolfc.com/news/community.